Children in primary schools and the term ‘renewable energy’ might not strike much of a chord in most situations but a drawing and colouring competition organised by Seda Malaysia or Sustainable Energy Development Authority Malaysia and children publication Kuntum saw quite an overwhelming response from children in this age group. 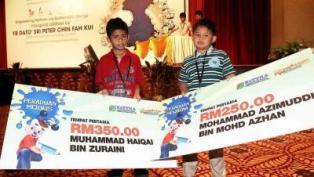 In fact, the 2 boys who won the contest were Mohammad Azimuddin Mohd Azhan and Muhammad Haizal Zuraini who are eight and nine years old respectively. The former comes from Pahang while the latter is a Malacca boy who joined the competition as part of Seda Malaysia’s initiative to spread the importance of renewable energy and educate primary schoolchildren about this message. There were 3 categories involved in the competitions which were colouring, drawing and essay writing which as the name implies was all about renewable energy. Mohammad Azimuddin received RM250 cash for winning the colouring category while Haizal, who won the drawing category took home RM350 cash during the prize-giving ceremony at the recently held International Sustainable Energy Summit 2012. Khamilah Ameer Batcha, the 39 year old mother of Haiqal said that all her children were readers of the Kuntum magazine where they joined the competition as they like to draw. 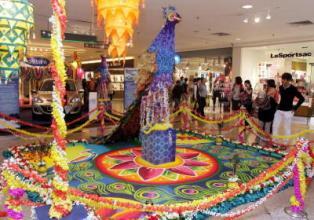 She said that she had encouraged her children to join the competition. The other winner, Mohammad Azimuddin who likes to draw trucks most among other things and objects said that it was the first time that he had won a Kuntum event although he had joined other competitions before.